No one has to tell you to breathe—you just do it, right? Breathing is an involuntary physiological process, which serves us well when we’re asleep or concentrating intently on something else. But, breathing can also be voluntary, and when it comes to exercise, it should be.Here’s why: when we breathe without really thinking about it, our breaths are typically shallow, haphazard and inefficient. 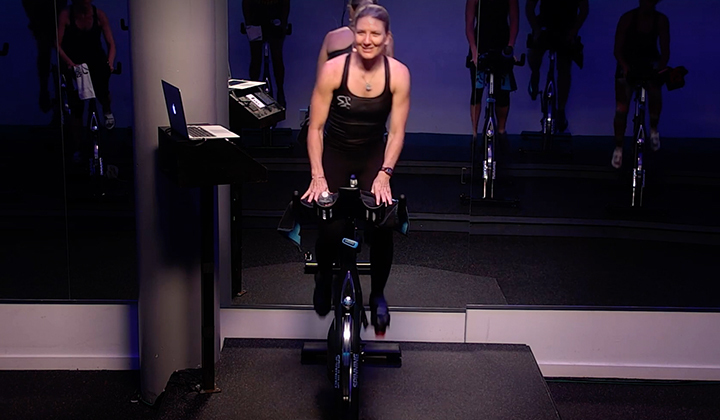 Breathing into the upper chest also constricts our muscles and restricts the supply of oxygen and nutrients to each cell, which are needed for energy production, ultimately hindering our performance.Simply choosing to take a deep breath is a good start, but there are several specific techniques to improve respiration, endurance and athletic performance. Use your diaphragm: instead of using secondary muscles—the neck and shoulders, for example—to breathe, use your diaphragm to draw oxygen in through your nose allowing your stomach to expand and greater oxygenation of blood in the lower lobes of your lungs. Just wait: breathing prematurely elevates the heart rate, causing it to work harder than necessary. Allow yourself to exhale fully before inhaling deeply. 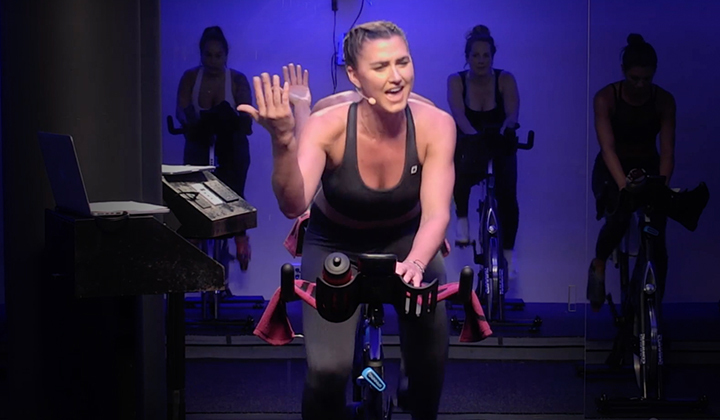 Let it all hang out: keeping your stomach pulled in may make you look svelte in your indoor cycling attire, but it doesn’t help your performance. In fact, it may actually hinder deep breathing if you’re not allowing your abdomen to expand as your lungs fill with air. Lengthen your torso: flexibility and length in your trunk allow your lungs to fully expand. 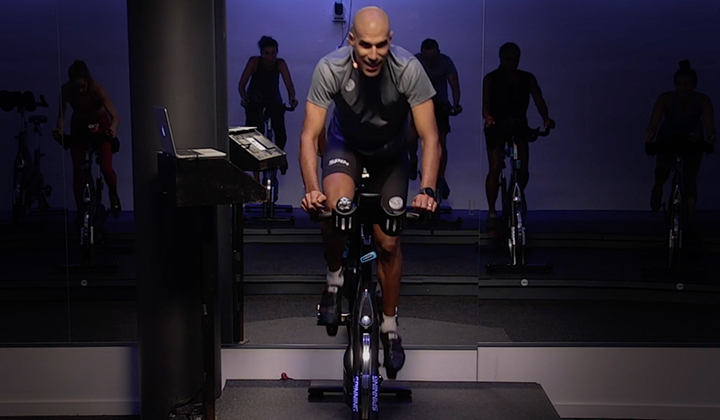 Think about creating the most space in your torso as you ride. Relax your face: did you know that your facial expression can influence your ability to breathe freely? Tightness in your forehead, a clenched jaw, pressing your tongue against the inside of your mouth and other instances of tightness in your head and neck can all prevent the diaphragm from expanding and contracting freely. 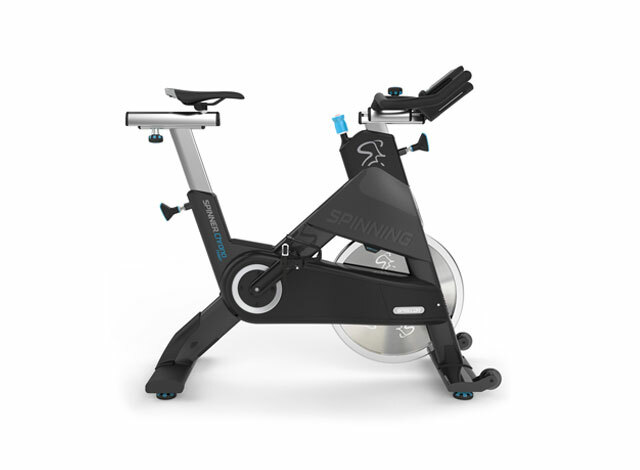 Breathe rhythmically: indoor cycling has an inherent rhythm to the repetition of pedal strokes. Use this cadence to create rhythmic breathing, synchronizing your breath with the movement. For example, on a flat, you might take five pedal strokes to inhalation and another five to exhale. On a hill, that cycle might increase to every other pedal stroke. Healthy lower back due to diaphragmatic breathing and improved blood circulation. Increased feelings of calm due to stimulation of the vagus (or parasympathetic) nerve, which runs through the diaphragm. Reduced risk of cardiovascular disease and heart attack. Pamela Ellgen is a certified personal trainer with the National Academy of Sports Medicine and a paleo food blogger at PamelasModernFamilyTable.com. She is author of the book Psoas Strength and Flexibility: Core Workouts to Increase Mobility, Reduce Injuries and End Back Pain, publication February 2015 and has a passion for distilling complex scientific research into useable information for a mainstream audience. When she’s not writing, she enjoys surfing, practicing yoga and exploring the local farmer’s market.